Selected Artists: John Aquilino, Caroline Blum, Kathy Cantwell, Emily Cucalon, Lisa Delmonico, Chris Ekstrom, Jacquelyn Etling, Lisa Fiore, Daly Flanagan, Marilyn Friedman, Shabnam K. Ghazi, Daric Gill, Heather Goodman, Jeri Greenberg, Erica Hauser, Robert Hunter, Michael Iskowitz, William Jobson, Laura Johansen, Carole P. Kunstadt, Elizabeth Meggs, Flavio Morante, Crista Pisano, Elisa Pritzker, Katherine Rohrbacher, Lynn Stein, Laurie Steinhorst, Toru Sugita, Erin White, Eunice Yu, Win Zibeon. Wendell Minor: Illustrations from "Edward Hopper Paints His World"
The paintings in this exhibition, from Viviane Silvera's ongoing series, “Film Project: Therapy,” pay homage to Edward Hopper’s work through the literal and unspoken relationships between light, the psychological, the solitary, and the cinematic--dominant themes in Hopper’s work. In her last two series of paintings; Therapy: Part One (2011) and Therapy: Part Two (2013), Silvera used film images as source material for paintings. extracting and re-imagining compositions from film stills that deal with the subject of psychotherapy. In this current project, Silvera created her own film using two actors, about a therapy session, from which she is creating paintings, a selection of which are shown here. Starting with a screen image as a point of departure, Silvera abstracts the figures, transforming the specific into the archetypal during the translation from film still to painted image—leaving the narrative up to the viewer’s imagination. The interior setting is as important in conjuring a narrative and a mood as the figures themselves. Shadowy interiors became metaphors for the struggle between the conscious and unconscious, the past and present, and what is illuminated versus what remains mysterious and unknown. Through framing, light, and mood, the paintings speak to Hopper's influence on contemporary painting, as well as cinema and photography. Silvera's aim is to create psychologically charged, powerfully cinematic paintings with an unresolved narrative. The project will conclude with editing the paintings (which have been shot as a stop-motion, throughout the painting process) into a short film. Thus the images began in film, were re-imagined and re-created as paintings, and will go back into film, transformed. 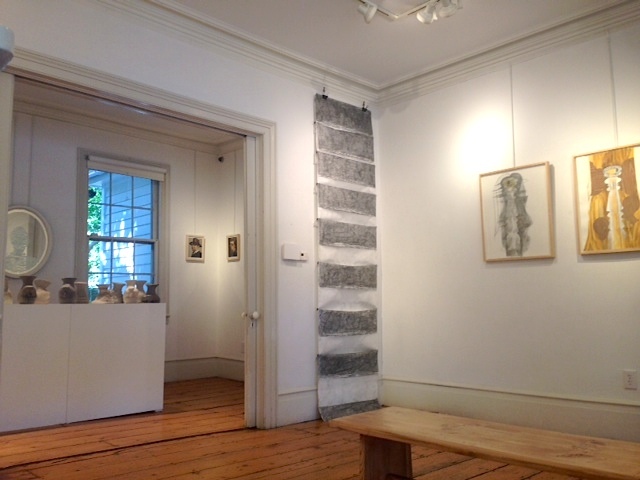 Edward Hopper House Art Center presents Dream House, a mixed-media installation by Joanne Howard. Howard’s installation is the third exhibition in a new program series for the center, following a 2013 installation by Tony Oursler, a well-known video artist and native of Nyack, that invites artists to respond to the life and work of Edward Hopper in the home in which he grew up. Howard is best known for her set designs for the company Big Dance Theater. Her first scenic design in 1992 was a set evoking underground space through the use of video and found natural objects. Since then her sets have been an amalgamation of materials that reduce the idea of the program to a singular visual platform. For the Hopper installation, Howard began by thinking about the space that was left vacant after Hopper’s departure at the age of 84. Thus, the work manifests as an exploration of negative space in the form of portraits, architecture, and drawings. Howard, also a long time resident of Nyack, has spent 20 years walking by and through the Hopper house. When invited to create an installation for the space, she decided to embrace the house itself rather than troll the publicly saturated and familiar imagery of Hopper’s paintings and drawings. Howard admits that she has never been in love with Hopper’s famous works, yet the house itself and the domestic interior of the space in which a young person came into aesthetic being was intriguing. Howard has most recently been working with slip cast faces that have a lot to do with hollowness and vacated space. She has also been exploring the details and nuances of interior spaces and how architectural details often reflect human portraiture. In walking through the Hopper house, suddenly the two came together as the outlines of the newels of the staircases reflected facial patterns on the walls. A brilliant series of upside down cast heads merge a sense of playfulness with the dark and the ubiquity of anonymity. Self-portraits, these objects bring the exhibition together in a an unusual and unique way that meets the challenge of creating a show within the confines of a set of rules and a space so specific to a man whose name is synonymous with the quintessential everyman. Joanne Howard received a BFA from Syracuse University School of Visual and Performing Arts and an MFA from Hunter College. She also studied at the Skowhegan School of Painting and Sculpture in Maine. She has exhibited throughout the United States and has designed theatre sets around the world, including the Brooklyn Academy of Music, Dance Theater Workshop, NY, The Chocolate Factory, NY, Chaillot Theater, Paris, France, and Les Subsistance, Lyon, France. joannehoward.com. Artist-in-Residence Kris Burns will exhibit a selection of photographs and video capturing "Hopper Happens," her multi-media celebration of Edward Hopper's lasting influence. In addition to images and video of the flash mobs, pop-up projections and performances Burns staged on the streets of Nyack during Hopper Happens, she will present the entire series of original short films she created for her QR coded Digital walking tour. Melanie Rothschild is a self-taught artist and a native of Los Angeles. For over two decades her functional pieces have been sold in galleries and museum stores across the U.S. 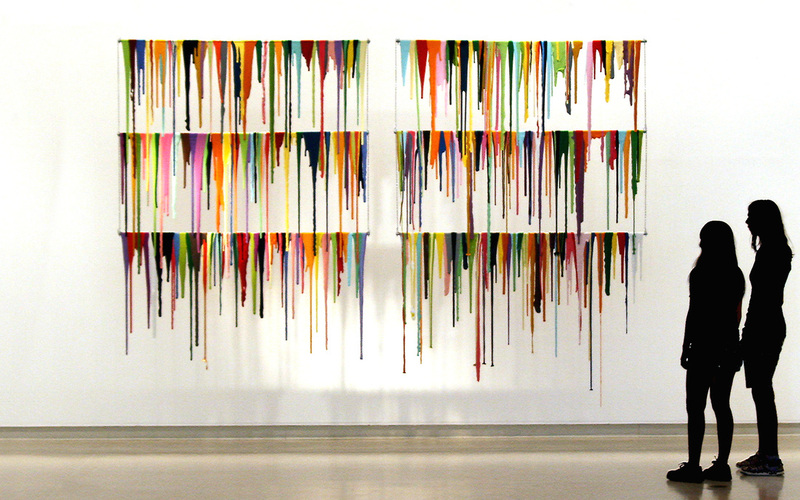 In 2007, she began the Paint and Air series, which heralded a major shift in her work. The series was born from a mistake, when a gallon of spilled paint dried and came up in one glorious piece. Just paint and the air transformed the spilled mess from liquid to solid, creating an entirely new starting point for Rothschild. This "mistake" fed what was already a deep interest in the nature of the creative process and resulted in Rothschild pursuing a graduate degree in the study of creativity and, specifically, a focused interest in the role of mistakes both in the creative process as well as our perceptions about mistakes in our greater life experience. “We miss out on so much potential when we obsess about mistakes. Understanding which things require perfection and when the freedom from worrying about mistakes can greatly enhance our lives, is critical.” Melanie has a master's degree in the Study of Creativity from Buffalo State College and a bachelor's in Ethnic Arts, with an emphasis in anthropology, from UCLA. Dan Graziano is an award-winning artist whose paintings capture the hidden beauty found in the unexpected places and fleeting moments of everyday life. His artistic vision began taking shape in the 1960's, during America's explosive political, cultural and artistic awakening. His first formal training focused on advertising and illustration, but a career opportunity in architecture and urban planning altered his original direction. When he returned to painting, he was drawn to the rich complexity of the urban landscape – inspired by Edward Hopper and other urbanist painters. As an accomplished blues guitarist (his other great passion), he found the city streets, timeworn buildings and multiple layers of decay and repair a visual parallel to the spirit and culture of the music. 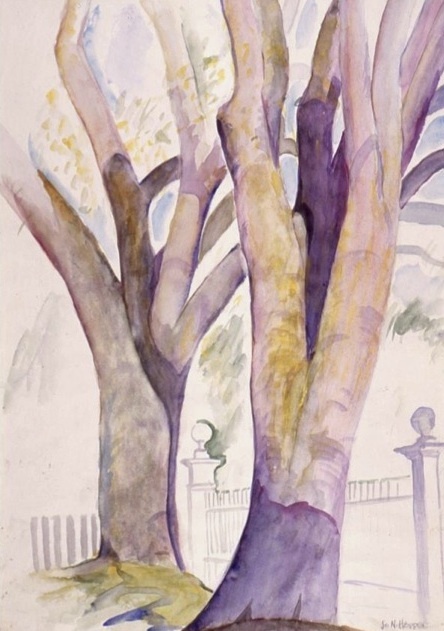 Josephine Nivison Hopper, Pink Houses, Charleston, watercolor, Courtesy of the Arthayer R. Sanborn Hopper Collection Trust. Josephine Nivison Hopper (1883-1968) was an established and respected artist in New York City prior to her marriage in 1924 to Edward Hopper (1882-1967), a childless union that would endure for 43 years. Her paintings were shown in prestigious exhibitions with the most admired European and American Modernists of the day, among them Marsden Hartley, John Marin, Stuart Davis, and Pablo Picasso. As an accomplished artist who eagerly embraced the most current Modernist styles of the day, much more so than her husband did, Jo captured in her vibrant and lyrical watercolors favored objects and sunny views of the scenic locales that she and Edward often painted side by side. They truly express her “grace of heart” and happily, due to the efforts of her friend, Rev. Sanborn, they have come down to us so that Jo’s artistic legacy can now be appreciated, studied, and fully recognized. 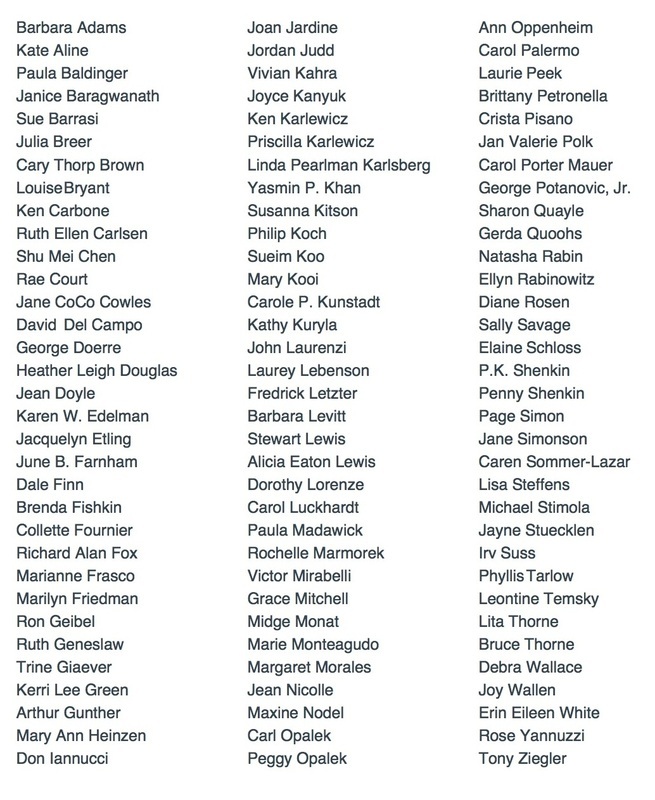 Special thanks to the exhibition sponsors: Cynthia Aherne; ARTWILL; Jo and Peter Baer; Kris Burns of Festoon on Hudson; Connie Coker, CNM LM, Integral Women's Wellness; Mary Ekmalian; Janice Enzenbacher; Maria Luisa Boutique; Gretchen Reinheimer Design, LLC; Philip L. Sanborn and The Arthayer R. Sanborn Hopper Collection Trust; Donna Riley; and Jen Laird White. Early in her career, while studying with American Impressionist Ambrose Webster in Provincetown, MA, Josephine Nivison Hopper began to paint en plein air (outdoors), as the French Impressionists had. It was a practice she continued throughout her life, often with her husband, Edward, painting by her side. The Sanborn Collection has preserved an important body of these plein air watercolors, and they are presented in the Sanborn Gallery at the Edward Hopper House from April 19 through October 19, 2014. 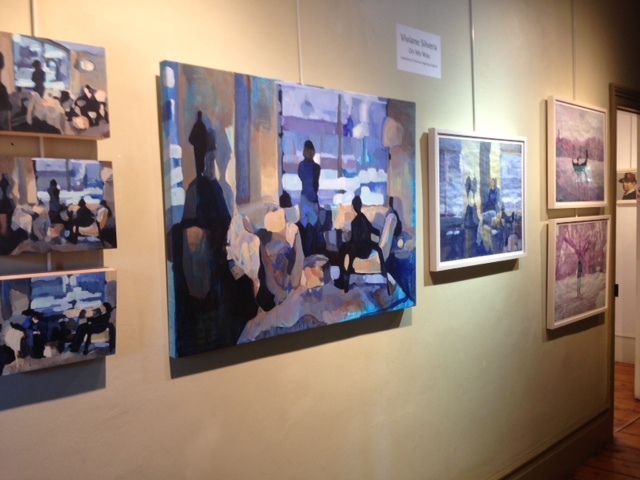 This series of tree studies, with their rich colors and fluid brushwork, show Jo Hopper at her best. Jo wrote about her painting process as she worked on her tree studies and "bonded" with her subjects, often naming specific trees as she described their attributes and characters. These ruminations by Jo will provide new insights into her work and her contributions to the focus on process that was so key to the development of American Modernism. Since August 2011, Bill Batson has created over 120 sketches and short essays that profile local people and place of interest, called "Nyack Sketch Log." Edward Hopper looms large in his Sketch Log archive, appearing as the subject or inspiration for five columns. 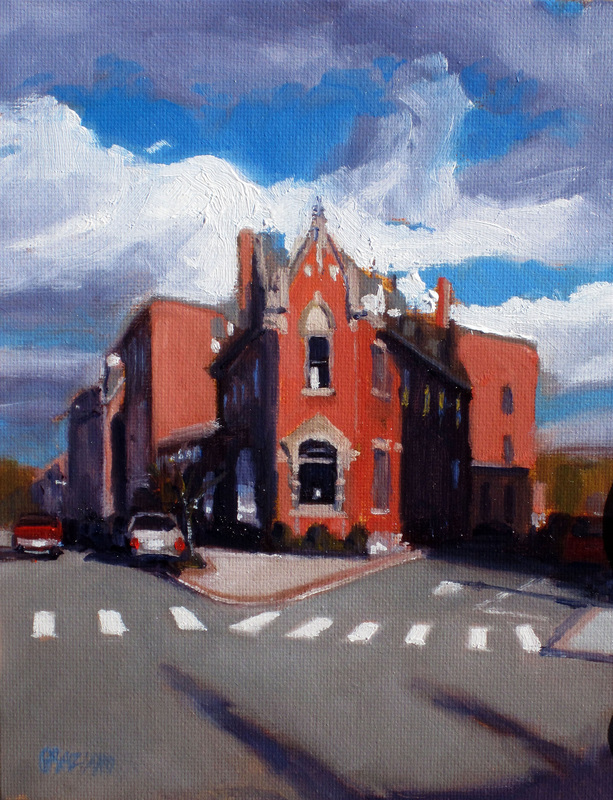 Batson's columns chronicle a bevy of other artists, writers and performers who have found their way to the Hudson River Valley village where Hopper spent his formative years. A rich harvest of brilliant artists including Horton Foote, Carson McCullers and Helen Hayes were drawn to the fertile creative soil of Hopper's Nyack and have been featured in Batson's Nyack Sketch Log. The work assembled in this exhibit, in style and substance, pays homage to the impact of Hopper Country. 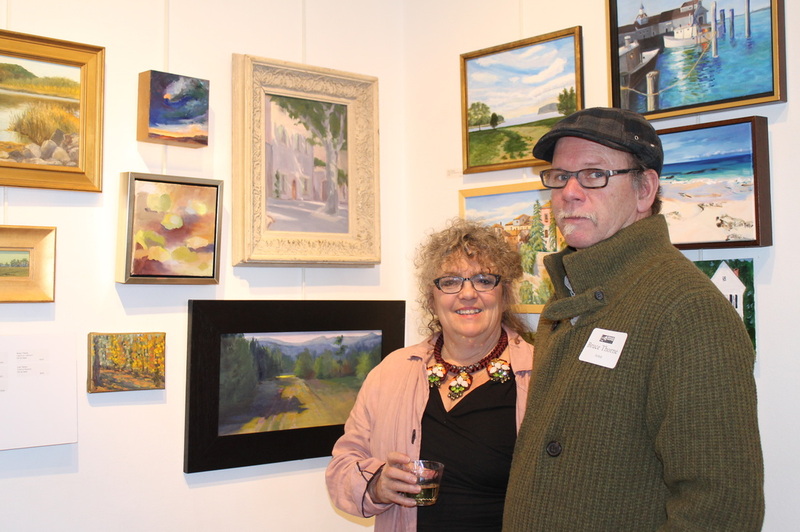 The Edward Hopper House Art Center presents Painters and Paintings of Rockland County, NY: The Hopper Years from February 22 through April 13, 2014. 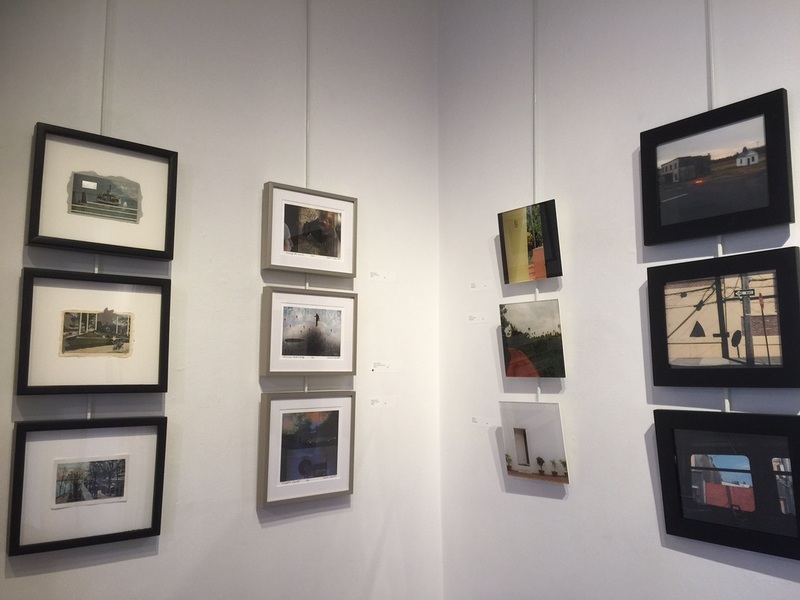 Organized by Mark Waller, this exhibition comes on the 30th anniversary of the Edward Hopper House’s groundbreaking exhibition, 19th Century Painters and Paintings of Rockland County, N.Y., curated by Lynn Beman. 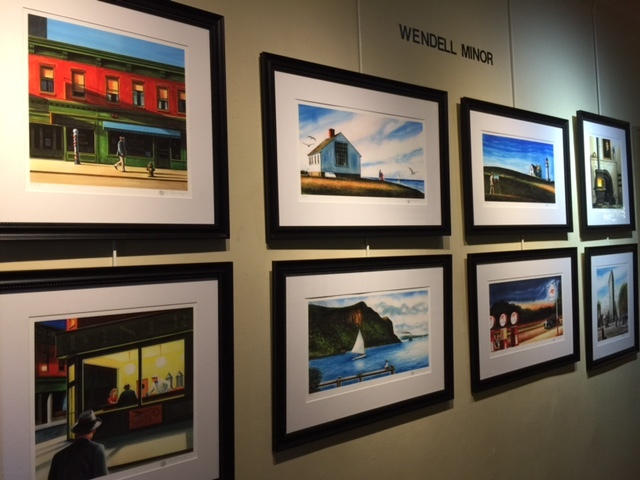 This updated presentation brings some of Rockland County’s lesser known artists into focus, providing a backdrop to the art created in the county during the life of its most famous son, Edward Hopper. The exhibition show the depth of the artistic communities around Rockland Lake, Nyack and South Mountain Road during these critical years of Modern Art. 2013 was the 100th anniversary of the pivotal Armory Show organized by another Rocklander, A.B. Davies. 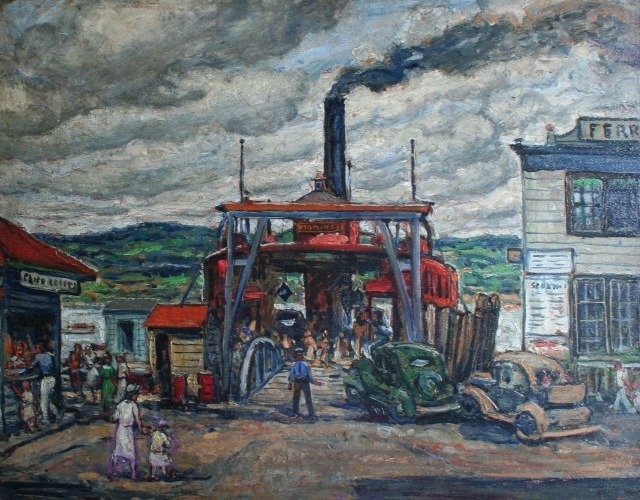 The current exhibition will feature works showing the influence of the Modern Movement, and help expand awareness of the Rockland County artists who formed this ‘cradle of modernism.’ It will also offer a fascinating visual journey of the county through the century, illustrating the changes in geography and attitudes during that period. Artists include A.B. Davies, Hayley Lever, C.K. Chatterton, John Mowbray Clarke, John Costigan, Hal Robinson, Jacob Getlar Smith and others. An illustrated catalogue will be available.